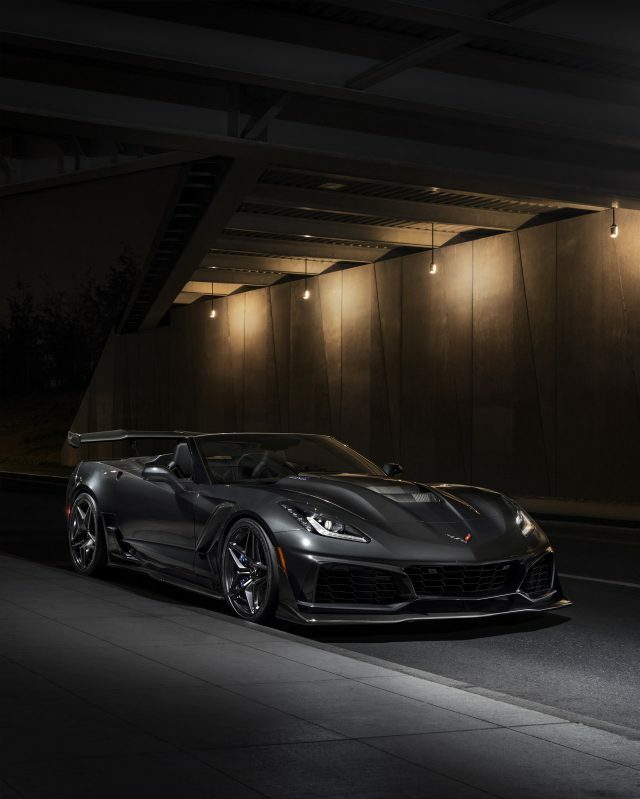 The 2019 Chevrolet Corvette ZR1 convertible was recently unleashed at the 2017 Los Angeles Auto Show. This beast is not only the fastest Corvette ever created, it’s also the most powerful. This is the first time a Corvette convertible has worn the ZR1 badge since 1970. Its list of credentials is everything you’d expect from the ZR1. Open the hood and you’ll find an LT5 supercharged engine spewing 755 horsepower and 715 lb-ft of torque. Drivers get a choice between a seven-speed manual gearbox or an eight-speed automatic transmission. Hold on to your hat because top speed of this drop top exceeds 200 mph. The new ZR1 is capable of going from 0 to 60 in under 3.0 seconds and can sprint the quarter mile in under 11 seconds. 13 radiators, including those for oil, transmission, and differential, help keep the ZR1 cool under pressure. Four unique exhaust modes, including Stealth, Tour, Sport, and Track, range from civilized to banshee loud. The ZR1 has started making the auto show rounds with its unveiling taking place in Los Angeles on December 1st through 10th. Pricing starts at $123,995, including destination.